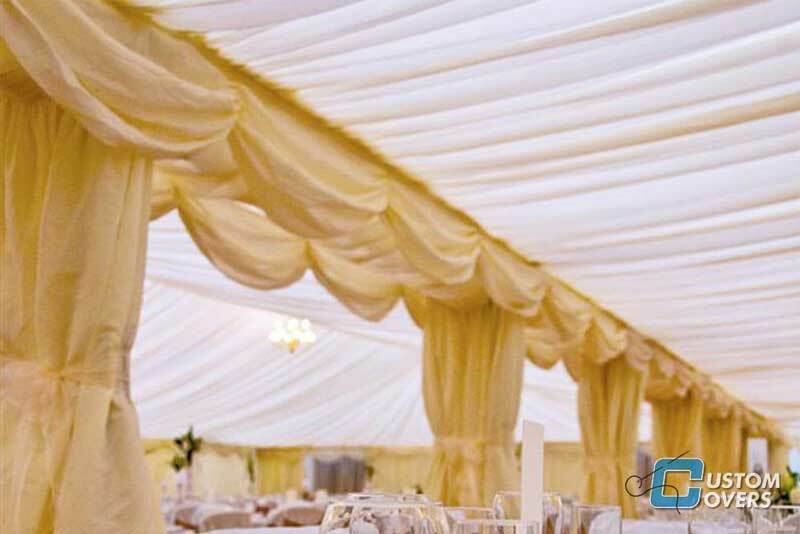 Browse our range of decorative linings, available in pleated and flat. All our linings are made from our own CQ Supreme or CQ Star cloth, this helps us ensure a high quality interior lining. 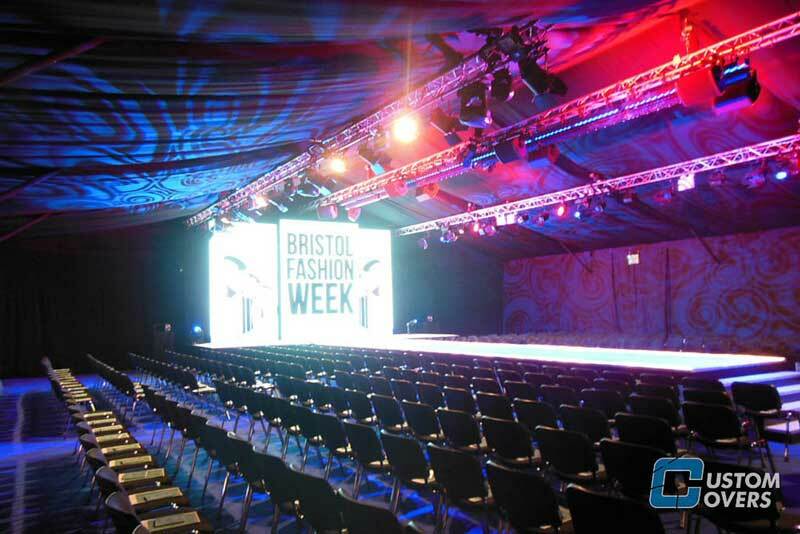 A Custom Covers specification 3m pleated roof section to fit the interior of 3/6/9/12/15m span marquee structures. 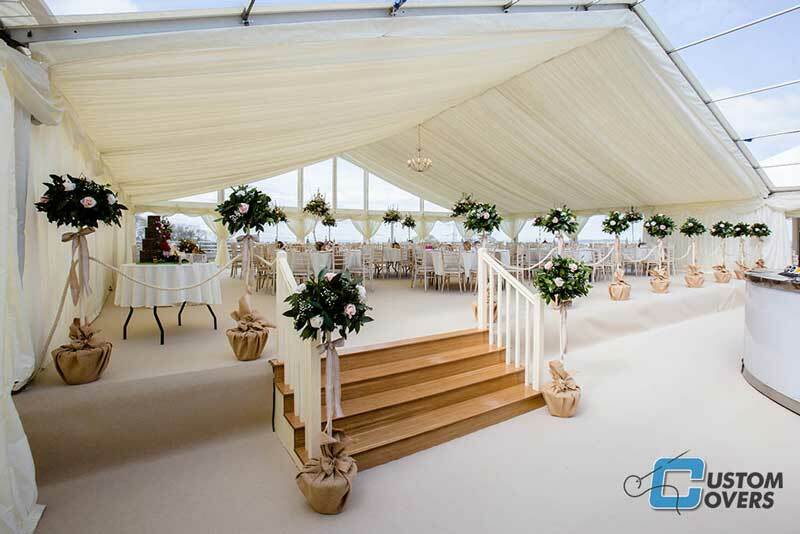 A tent set of Custom Covers specification pleated gables to fit the interior of 3/6/9/12/15m span marquee structures (includes 2 Gables). 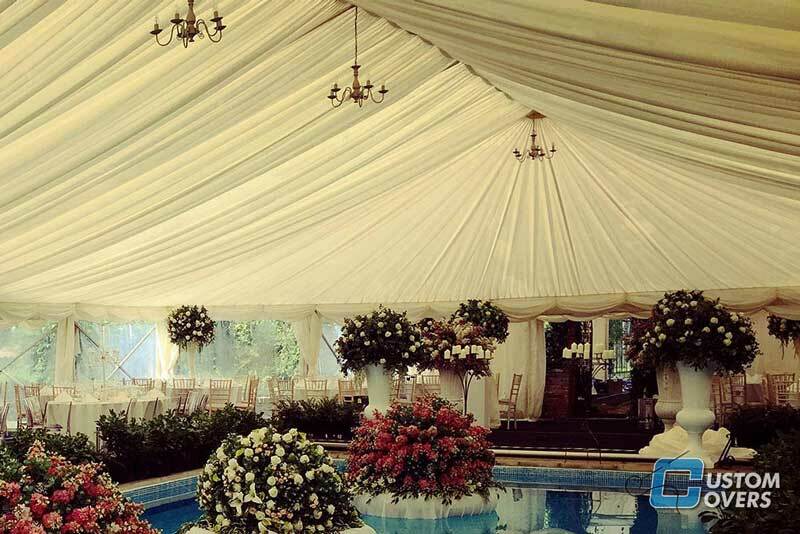 A 3m flat blackout roof section to fit the interior of 9m/12m span marquee structures. 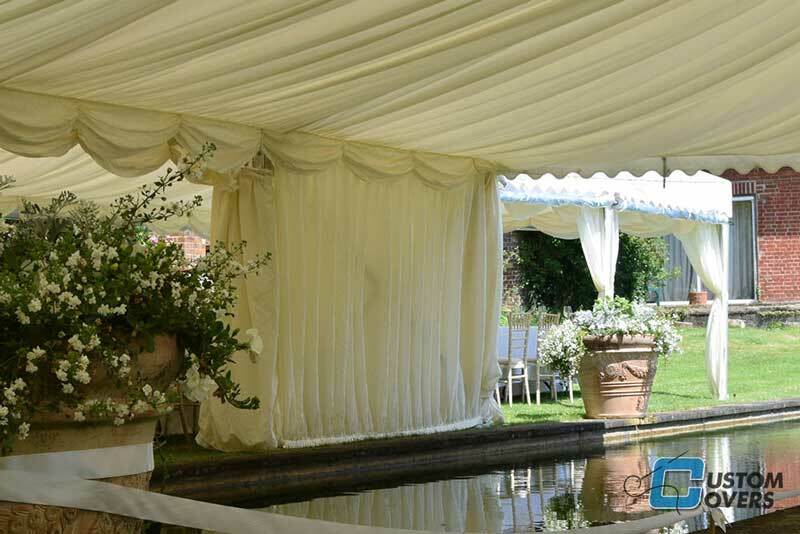 A tent set of Custom Cover specification pleated hip-end linings to fit the interior of 3/6/9/12m span marquee structures (includes 2 Hip-ends). Our standard 3m length swag pelmets in various colours, made from our 2oz CQ Supreme cloth. 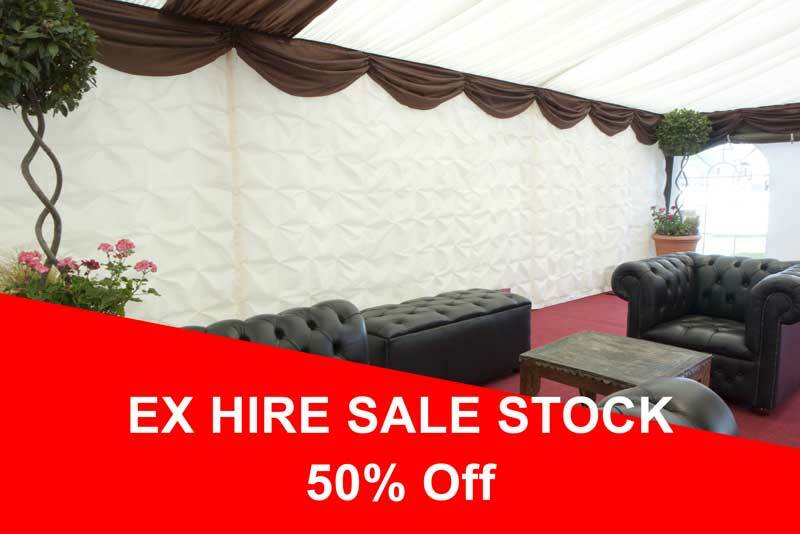 Our Ex-Hire 3m length swag pelmets in various colours, made from our 2oz CQ Supreme cloth. 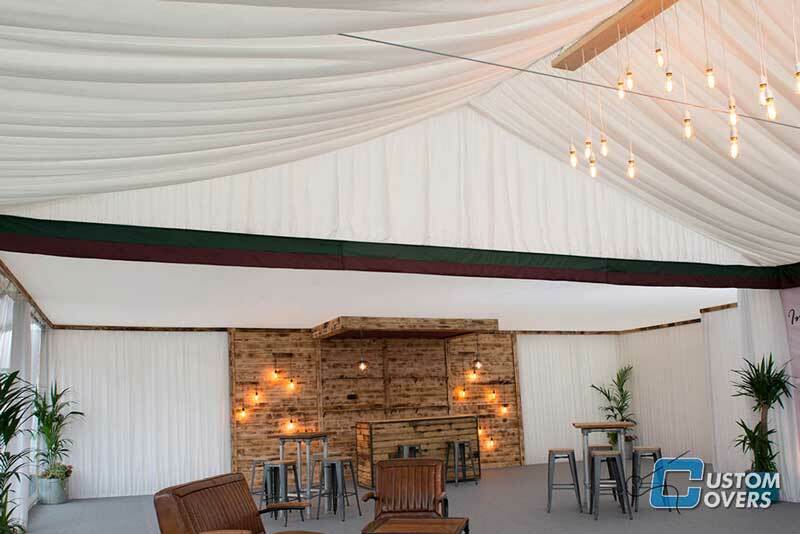 A standard Custom Covers specification pleated lining interior wall designed to fit a 3m x 2.3m wall. 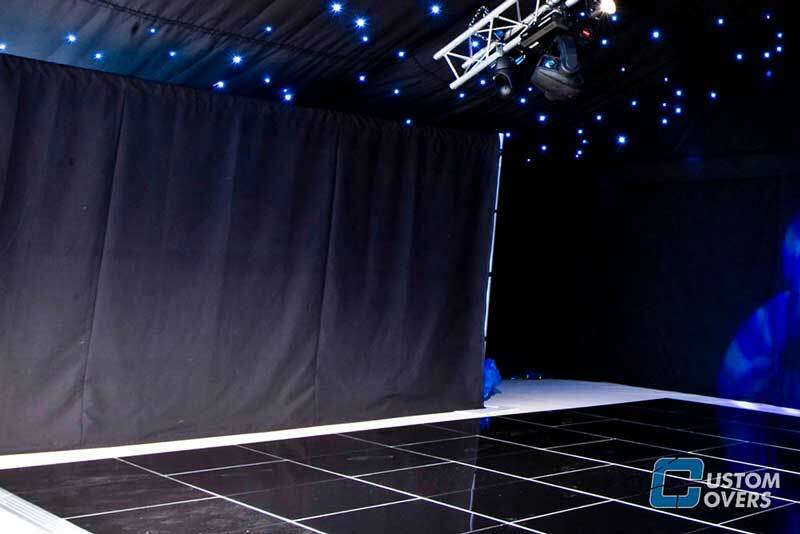 Custom Covers standard specification flat blackout lining interior wall designed to fit a 3m x 2.3m wall. 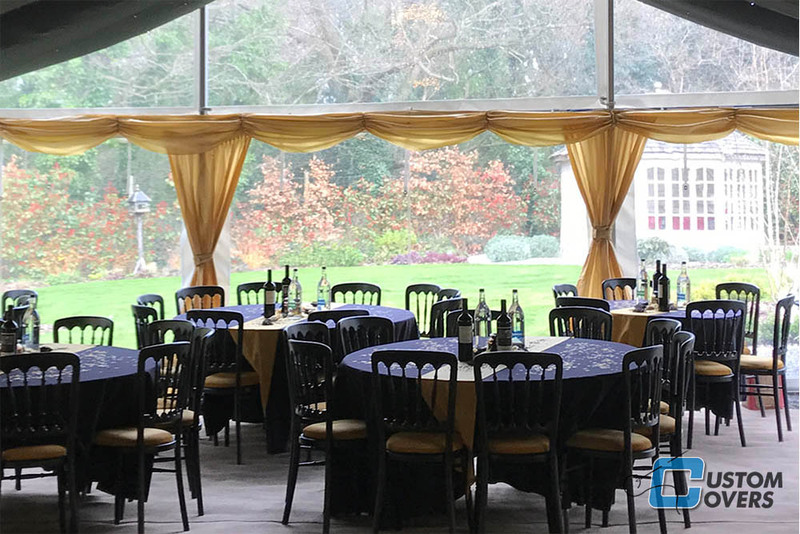 A pair of Custom Covers specification window Drapes, made from our 2oz CQ Supreme cloth for the signature pleats.